Do you know the fastest way to convince someone that they are dying? Let them Google their symptoms. In fact I would not be surprised if Doctor Google is used as an interrogation tactic. 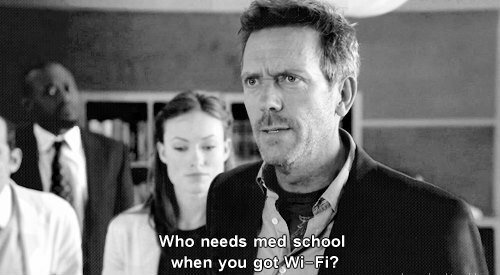 After being locked up, with no food, in shackles and exposed to 48 hours of flickering bright lights and loud noises they come in and hand you a tablet so you can Google your current symptoms. The other day I made the mistake of googling the sudden onset of unequal pupils after three days of major headaches. My ‘consultation’ with Dr Google warned me of my looming death by brain tumour, cerebral aneurysm or perhaps an abscess in the brain. If that’s not it then it’s definitely meningitis or I might be experiencing seizures….no? Then no need to worry it’s just a reaction of all the bleeding into the skull that’s apparently happening. A few people were alarmed by my freaky eyes and Dr Google seemed to think it was all doom and gloom so it was time to solve this mystery. Of course my GP couldn’t see me that day, so after arranging a home visit I was triaged over the phone. I am not entirely convinced that a phone triage is very different to Dr Google, but heeding their professional warning I made my way to the emergency room. They had offered to send an ambulance for me but since I wasn’t missing a limb I felt it would be a waste of the city’s emergency resources. On arrival to my nearest hospital, as expected, it turned out that my condition wasn’t deemed an ‘emergency’. Hell I didn’t even deem it an emergency so the following six hours were spent waiting. I really hate waiting. You realise that they ask that because somewhere some idiot has wasted their time freaking out over a different pupil size only to discover they forgot to remove one of their contact lenses. Six hours, two doctors, a blood test, a CT and a CTA scan later, I was sent home to rest and asked to present to the eye clinic in the morning for further investigation. Another five hours, another two doctors and lots of lights flashing in my eyes and I finally received the news that they had a likely diagnosis. It turns out that likely a post viral reaction that should clear up with time. Weeks have past and there has been no change. The headaches have returned, but they only stay and visit for a few days. Otherwise I feel perfectly fine. I’m glad that it turns out that Google is better at being an overachieving search engine than any sort of Doctor. I’m glad the CT scans showed everything in my noggin is working as it should. I am glad, very glad, not to be bleeding into my skull but…I have one question whirling around in there that makes no sense. If it’s Post Viral, when did I have a virus? I mean it had to be one mother of a virus to freak my pupil out like that right? At some point I must have been pretty darn sick. How did I miss the presence of such a powerful virus? More importantly how did I miss the opportunity to use up a few sick days? God knows I need the rest. Nothing appeals to me more than sleep. My sister pointed out that I am not a whiny type of person when I am sick. Actually she once said that if she had to take care of me or my brother when we are older that she would pick me. I thought for a split moment, that it was the sweetest thing she had ever said to me. That is until she explained that when I am sick I prefer to be left alone to die. That I just sleep through the flu and prefer not to be bothered. Like all men my brother on the other hand needs to be waited on hand and foot because when he gets sick, he gets the deadly man flu. The man flu is the common cause of adult male ‘baby whining’ and the leading reason why women are locked away for man slaughter. Doesn’t sound true? Or does it sound so true that the whole world makes sense now? I know I should take this more seriously, my friends and family would like me to but I am not a Doctor. I am certainly not an ophthalmologist nor did I major in neuroscience. The fact is I have no real understanding of the complexities let alone the inner workings of the phenomenal human body. Short of changing my career path and studying medicine there is not a lot I can do. Google knows everything but she can’t work this out for me, the day she can is the day Google will start charging every time we ask her a question. No, what people fail to realise is that Google is not a cheap Doctor, she is an advanced search engine and her forte is to provide a never ending stream of information. A stream you can drown in since it knows too much about everything and not enough about anything. It only answers the questions you know to ask, not the ones you fail to consider. What Google is good for is finding another Doctor, a second, third or fourth opinion if necessary. It’s great for sharing experiences that can be put forth to a medical professional as another possibility to investigate. Truth be told – I couldn’t do without Google, how did we live before she existed? The old two wooden shelves of voluminous volumes of The Encyclopaedia Britannica come to mind. 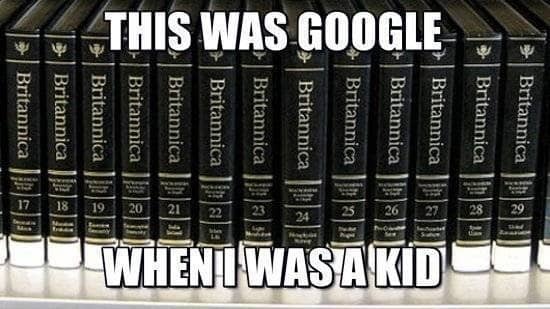 It’s funny I don’t ever recall my father questioning my mother on the need of taking me to the doctor when we had the Britannica sitting in our living room. ← Previous Post Why you should always choose to be kind or quiet.